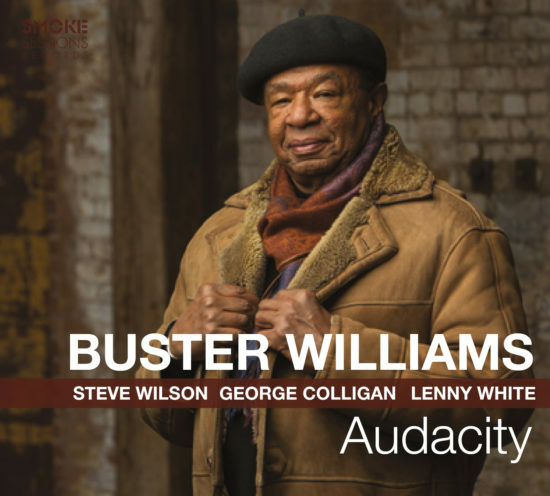 Fourteen years after his last release as a leader, Buster Williams doesn’t attempt to rewrite any rules on Audacity. 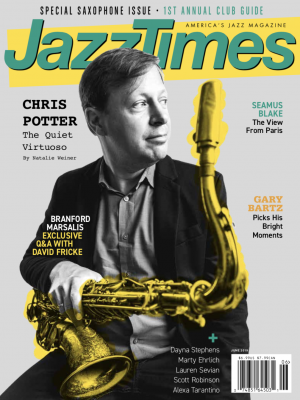 The 76-year-old bassist simply went into the studio with his long-running quartet, Something More—alto and soprano saxophonist Steve Wilson, pianist George Colligan, and drummer Lenny White—and cut a handful of original tunes, six by himself and one each from the others. There isn’t a clunker among them, but a few do stand out. “Where Giants Dwell,” the fast-swinging opening number, is one of them. Wilson and Colligan establish the theme, then split solo time for the duration. Wilson is brawny here, laying out solid, clearly defined lines that eschew gratuitous deviations, not so much holding back as understanding innately what the song calls for. Colligan enjoys toying with the rhythm section, opening up pathways, traveling down them for a bit, peeling off down others, spilling out a run and then abruptly heading somewhere else altogether—he commands attention. White’s contribution, “Stumblin’,” takes a similar tack, this one unsurprisingly giving both him and Williams more upfront action. The pair’s connection is still a thing to behold. It’s not all about burning, though. Two ballads, “Ariana Anai” and “Briana,” written for Williams’ granddaughters, are gentle without veering toward the syrupy. The latter features a Williams solo that, while all too brief, manages to convey the familial love that went into the composition; Colligan and Wilson spend the bulk of the track lightly conversing while White lays back, allowing his cymbals to provide color when needed. Audacity is a reminder that Buster Williams has always been a vital voice on his instrument, and that he still has much to say. Preview, buy or download Audactiy on Amazon!